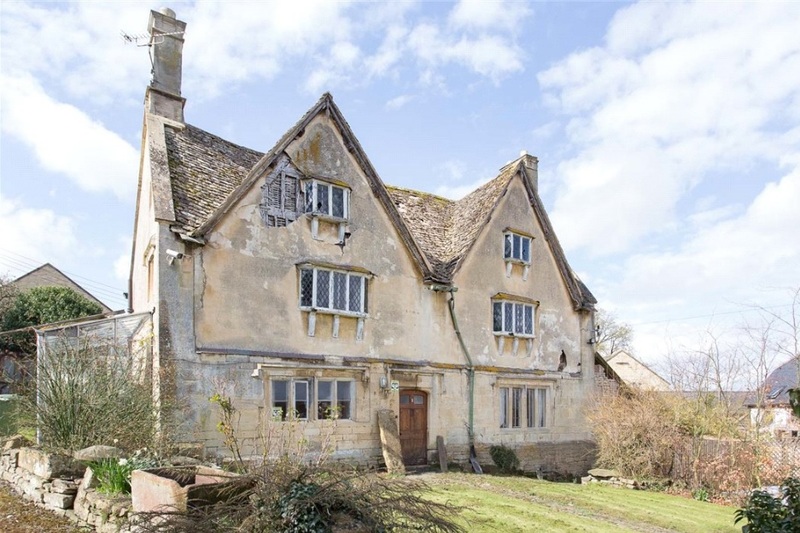 Two of you emailed me about this faded Cotswold beauty - up for auction on June 30th. Gretton Farm, in the village of Gretton about nine miles from Cheltenham, is Grade II* listed and dates from the mid 17th century. 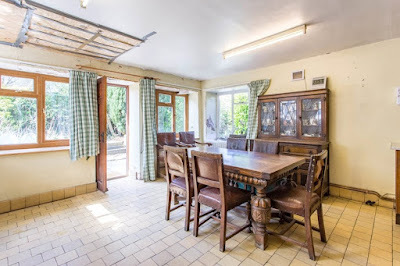 However, it's an impressive building, sitting in around a quarter of an acre of garden area. 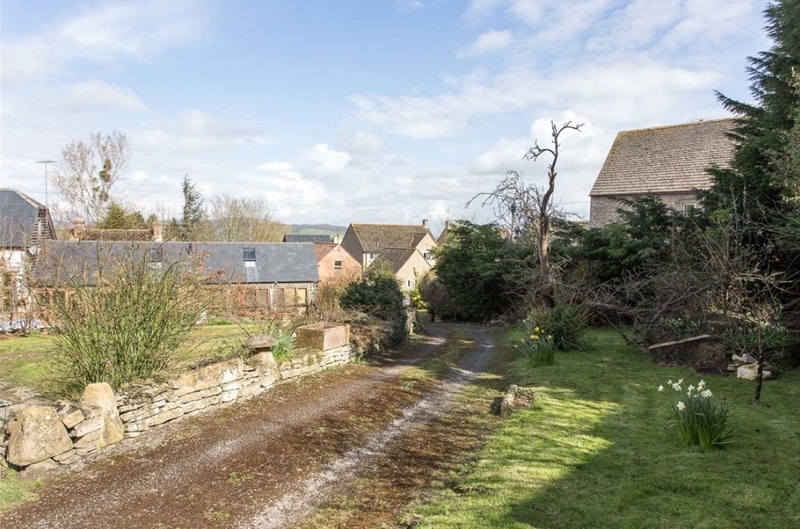 There's an option to buy extra parking land and, if you're not too fussed about having neighbours, the village location is attractive. There are lots of original features and the attached former diaries offer potential. 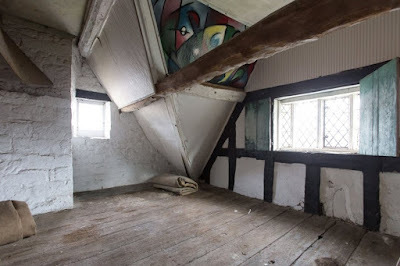 The roof clearly needs work and the effect of that can be seen in some of the internal pix - gaffer taping the ceiling just isn't going to do it...! 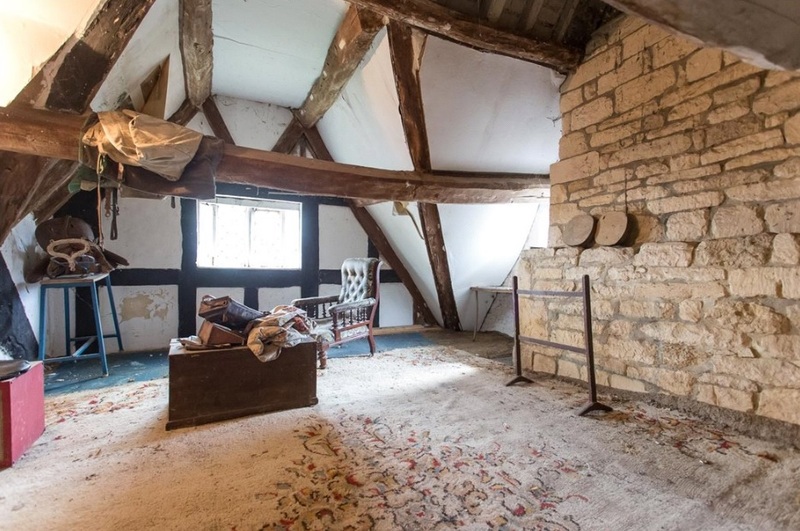 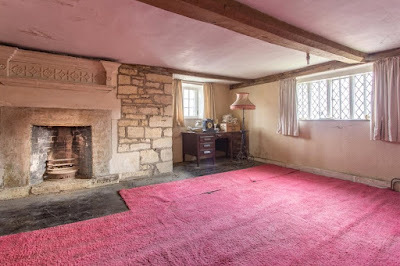 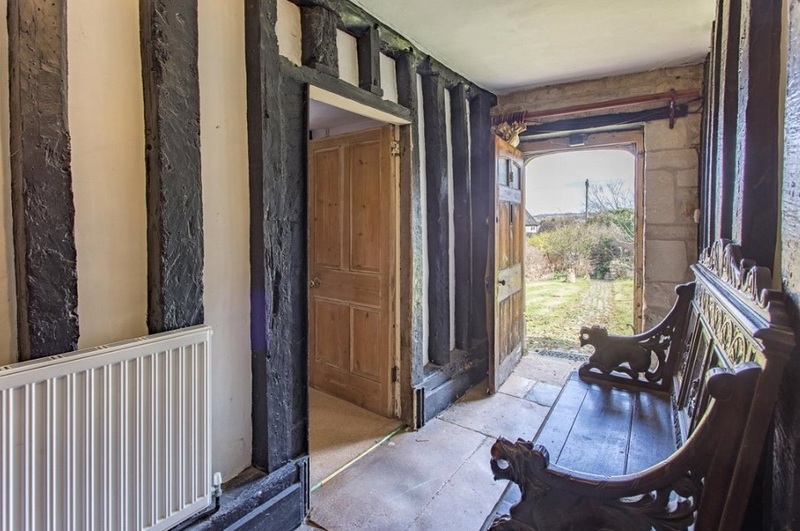 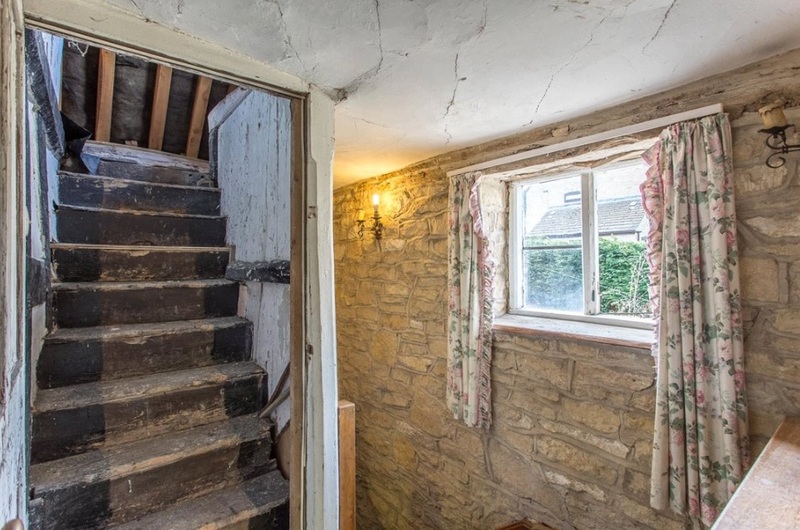 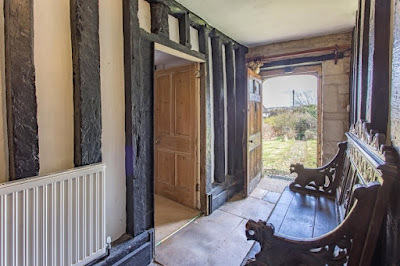 My own feeling is that the guide price of £325k is pricey for a listed building needing this amount of work - and pushing it out through auction is one way to avoid a buyer dropping out after the survey. 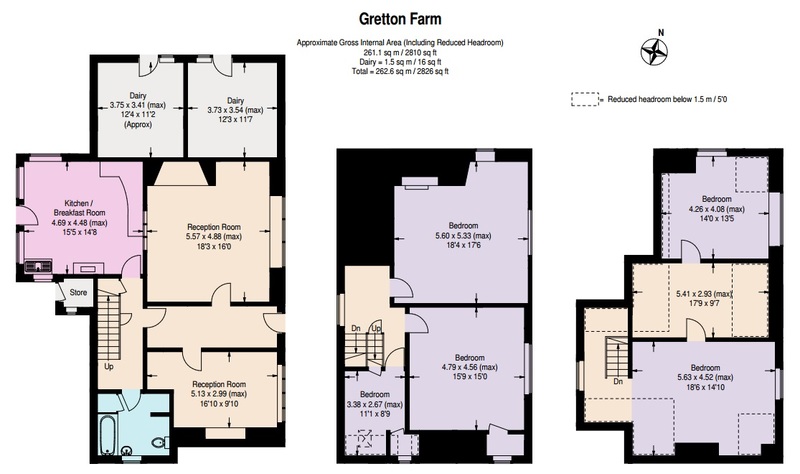 There's not a lot of land, (something David commented on too), largely because most was sold off and built on in the mid-'90s, according to planning records. Having said that, if there was ever a wreck that deserved to be brought back to its former glory, it's Gretton Farm. 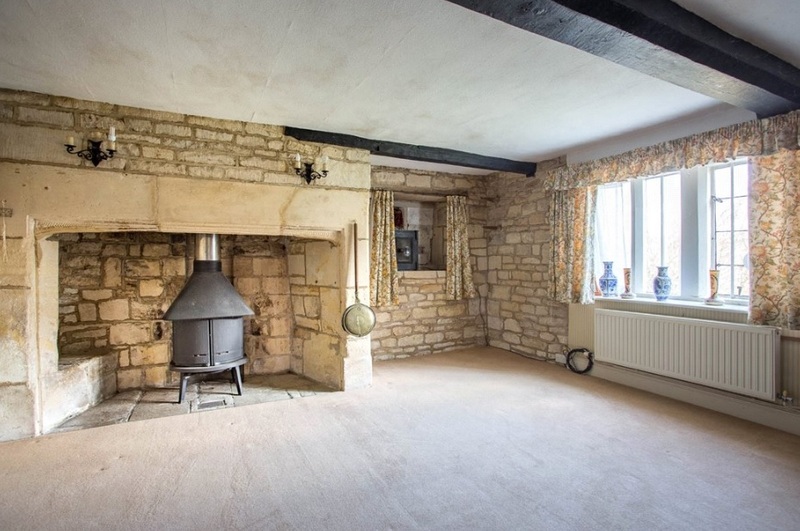 For the right buyer, this would make a stunning home in a lovely area. 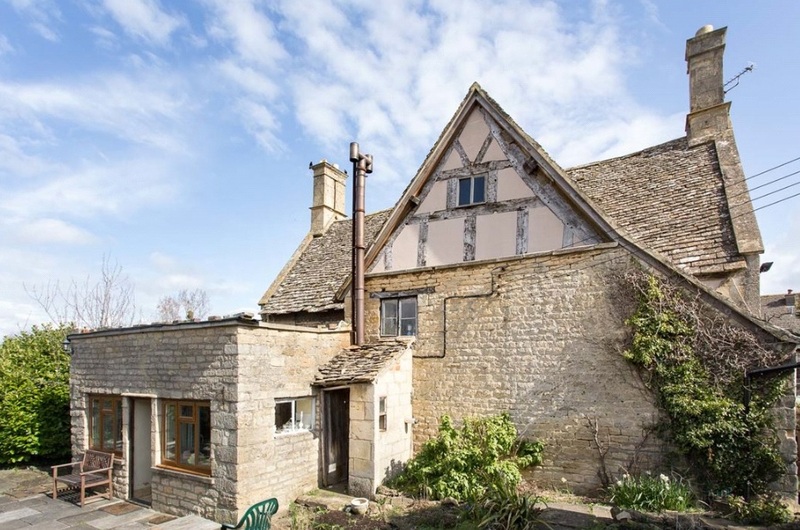 Up for auction on Thursday June 30th with a guide price of £325k, via Knight Frank. 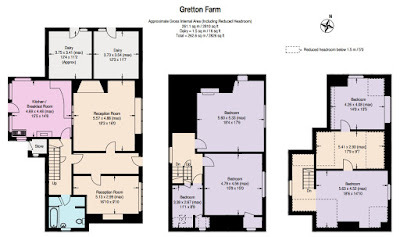 Details and more pictures here and here.